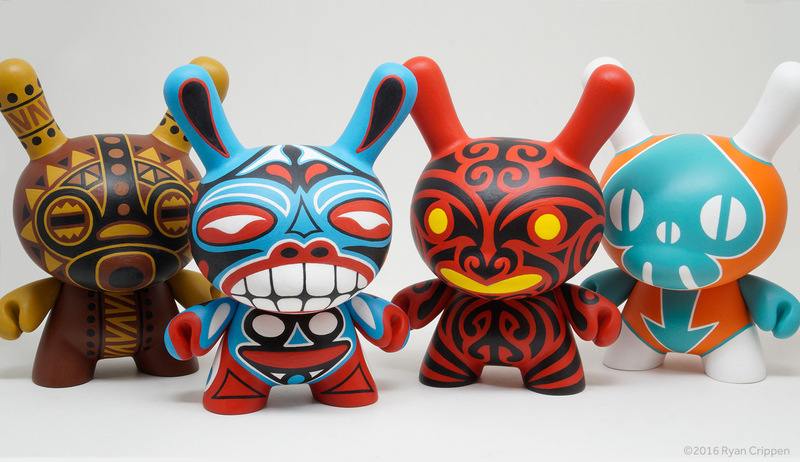 October 1, 2016Written by Ryan C.
I’ll have four new custom Dunnys based on Kidrobot’s new 5-inch Dunny platform at New York Comic Con this year. Two carry my usual Totem and Spade-Skull styles. The third is Maori design- I’ve explored this a few times before. The fourth is an all-new direction, based on more traditional African mask art. 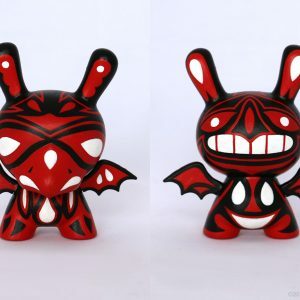 This piece was actually a design I submitted to Kidrobot many years ago that was never used- I always liked the design a lot and told myself I’d paint a custom like it one day. 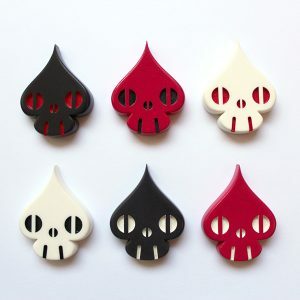 As usual, you’ll be able to see and purchase these at Myplasticheart’s booth (#113). So if you’re at the con, be sure to swing by and check them out!